Within the Harbour several different associations of plants exist. Below the low water mark are the seaweeds, eel grass (Zostera) and algae. 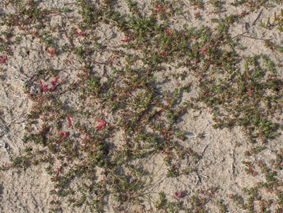 Above the low water mark, a succession of vegetation can be found through to the development of saltmarsh. The tidal area of the Harbour provides a habitat in which only a fairly restricted range of plants is able to survive. The plants have special features, which enable them to grow in salt water and to withstand periods of submersion and exposure. For some distance beyond the high tide mark certain of these specialities persist enabling the plants to withstand the salt carried by onshore winds. Below are some examples from each of the major vegetation zones within the Harbour. Originally recorded from Southampton Water 100 years ago is believed to have originated from America. It has spread along the South Coast colonising the soft mud flats of the estuaries. At its peak in Chichester Harbour about 20 years ago it grew to between l' and 2' high and was very luxuriant. In comparison it now appears very stunted and the mud flats which it once stabilised are now breaking up and reforming at a lower level to become once again covered with algae and seaweed. It is not absolutely certain why this is happening but it seems most likely that the plant having built up the mud flats, has now made the habitat unsuitable for itself and is in decline. Another introduction, thought to have been brought here by ships and shellfish. 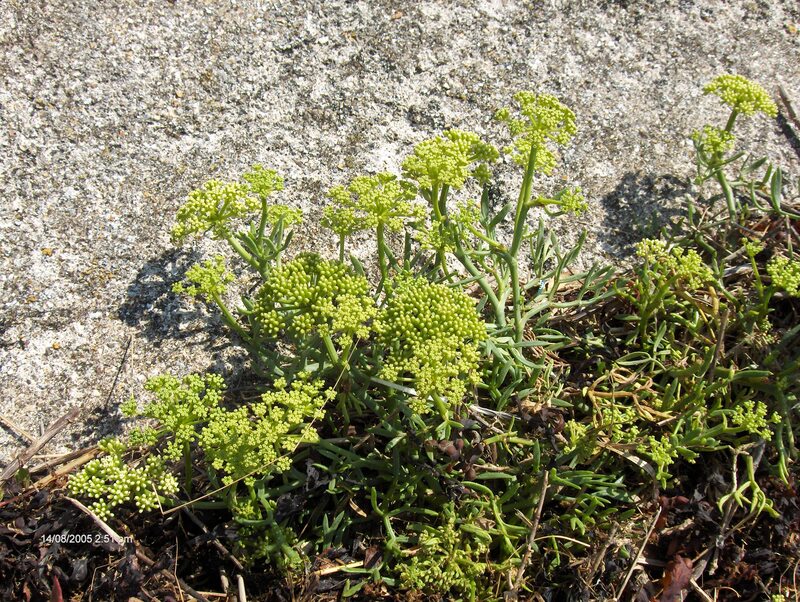 It is highly invasive and has spread to both sides of the English Channel and to the Pacific coastline of North America. It tends to be found in channel beds attached to small pebbles, but frequently is floating free and presents a hazard to powered boats. Various control methods have been tried from mechanical to hand clearance, but as yet they have been unsuccessful. In the form of green, brown and red algae are all present in Chichester Harbour and recorded species number in the order of 60 different varieties. The most noticeable are perhaps the green or brown algae of which Enteromorpha and Ulva of the green ones are dominant. Enteromorpha has a tubular construction whereas Ulva (Sea Lettuce) is flat in form. Both plants are important in the food chain. Ulva being a favoured food of the small snail Hydrobia which in turn provides food for Shelduck, Enteromorpha being eaten by the Brent Geese. Of the brown algae the Fucus are most noticeable with their flat brown fronds often with occasional air bladders. (Fucus contrasts with Japanese seaweed in being much more robust with wider thicker fronds and fewer air bladders). If not floating free Fucus is attached by a 'hold-fast' to a small pebble or rock. Is one of the first to appear above the low water mark. It is very fleshy, the stem of the plant retaining water to enable it to live within the tidal area. There are several varieties, some of which turn bright red as the season advances, although they are generally green. The inconspicuous flowers appear in late summer. In some areas the plants were harvested and burnt to produce soda ash for glass making or cooked and eaten. A true grass and one of the next plants to appear in the saltmarsh. It is very stiff and with a slightly grey appearance, tightly compacted and grows to about 15cm. 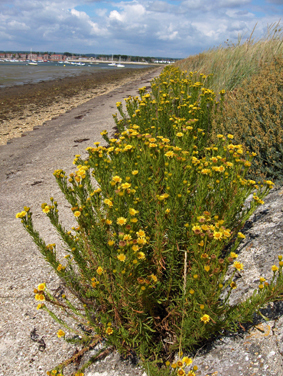 A more shrubby plant which dominates the high salt marsh around the harbour. 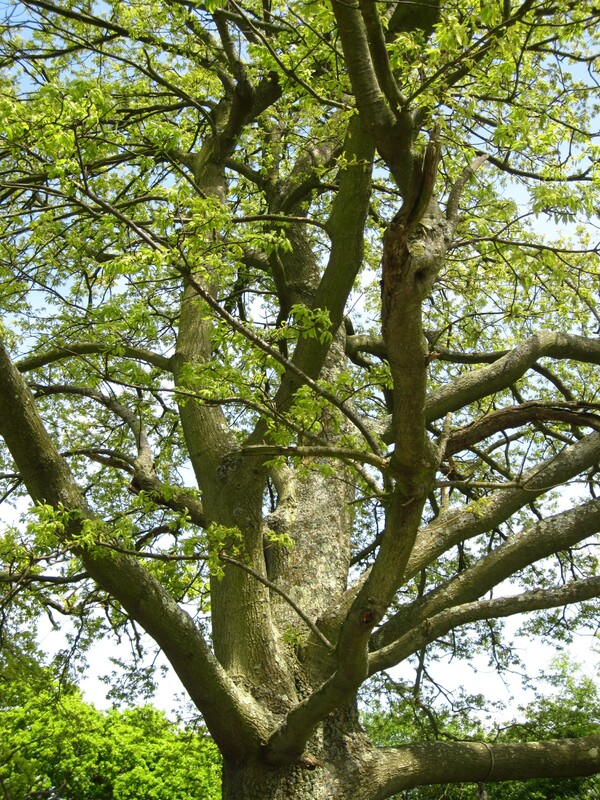 Its characteristic grey-green leaves with small scales help reduce moisture loss in dry weather. The flowers are inconspicuous appearing as golden yellow in late summer. 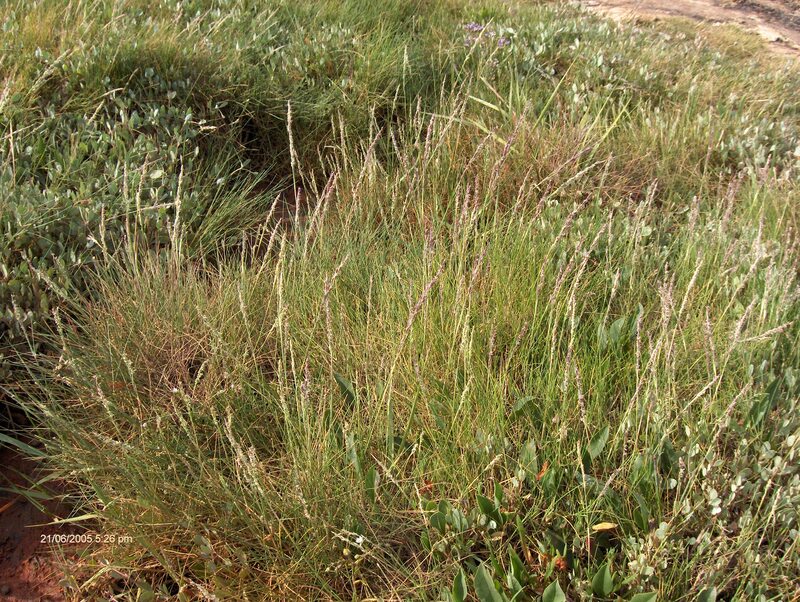 Is a more attractive plant of the saltmarsh. The leaves form a rosette at the base of the plant and the flowering stem produces blue-mauve flowers in July and August. The seed heads remain through the winter, the seeds providing food for the seed-eating finches during the winter. A late flowering plant of the saltmarsh producing daisy-like flowers with blue-ray petals with a yellow centre attractive to butterflies. The leaves are thick and fleshy. A sprawling plant, again with thick fleshy leaves and an often red striped stem. As might be expected the leaves of the plant can be eaten after cooking if picked early in the season. The plant produces rather insignificant flowers from July to September. This family of plants is the origin of many of our domestic vegetables. A true grass with very stiff parallel-veined leaves with a rather blue-green colour. The inflorescence (flower head) of the grass is called a spike made up of small spikelets which are found in two alternate ranks each side of the stem. Flowering between June and August the wild carrot flower is often pink in its early stages, starting off with a flat flower head developing into a more rounded cushion-like shape. The flower head is made up of many individual flowers in a structure called an 'umbel'. Very often the central flower is dark red and resembles a fly sitting on the cushion of flowers - this helps attract other insects, which aids pollination. 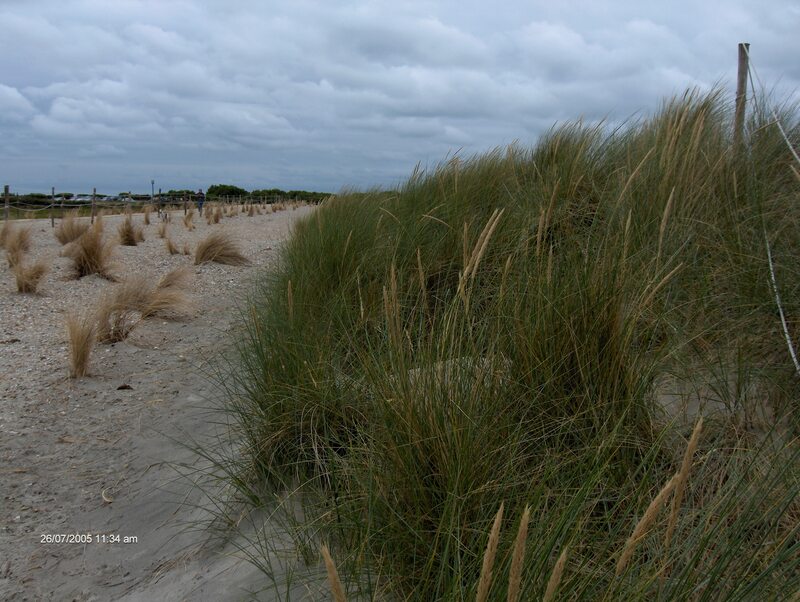 As the name suggests is another plant that helps stabilise the dunes. Related to the garden bindweed it has a similar habit of sprawling over the ground and rooting deeply. It is an uncommon plant as its habitat is so restricted. 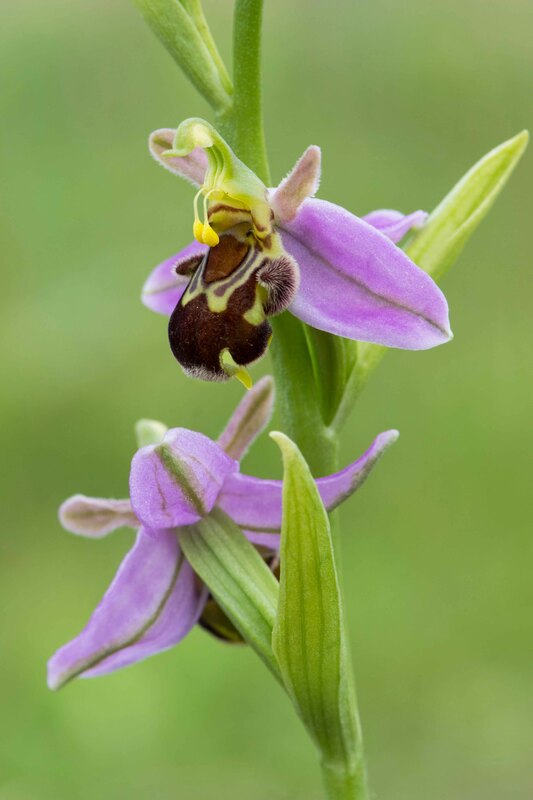 It has an attractive pink trumpet-shaped flower from June to September, with white stripes that help to lead insects to the centre of the flower. Is one of the most attractive plants that does grow on the shingle. The large yellow flowers appear throughout the summer but they wither soon after opening. The leaves of the plant are formed in a rosette and are frosted with silvery hairs - a protection against the scorching effect of salt laden winds and sun on the exposed shingle. The name derives from the seedpod which is long, narrow and curved. The plant has deep roots, which are able to penetrate the shingle to find moisture deep down in the shingle bank. Wind sculptured trees and shrubs surround the harbour - the effects of salt laden winds carry as far as the Downs when the young growth of trees can be scorched by the winds in Spring. The old oaks are a particular feature of the harbour and where they come down to the harbour edge uninterrupted by a sea wall we have an example of a situation which would have existed 4000 years ago. After the last ice age natural colonisation of the British Isles took place leading to the development of a more or less totally wooded landscape leading down to the coastal area - today one does not have to walk far from the coast to see how changed that landscape has become. Sign up to get the monthly Harbour Chirp newsletter by email.